It's ski-swap season! 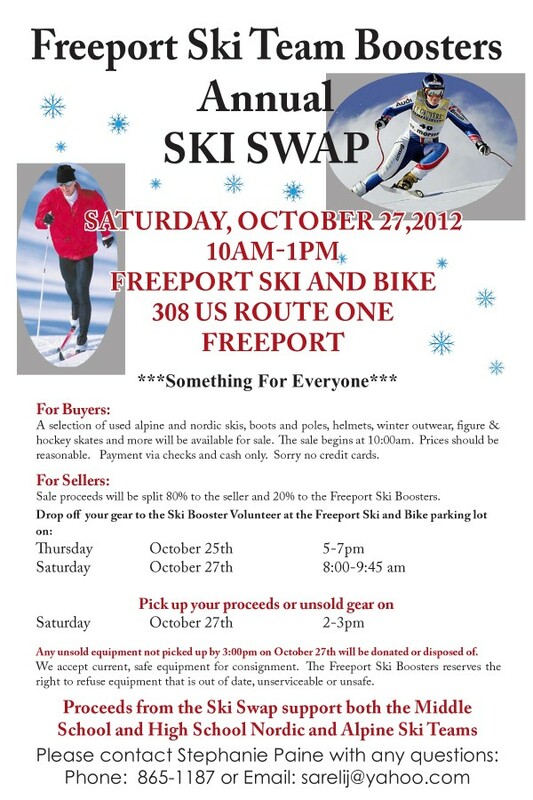 The Freeport ski boosters will be holding their annual ski-swap on October 27. See below for equipment drop-off and sales times. You can also read my post on ski-swap strategies. Ski season is right around the corner!